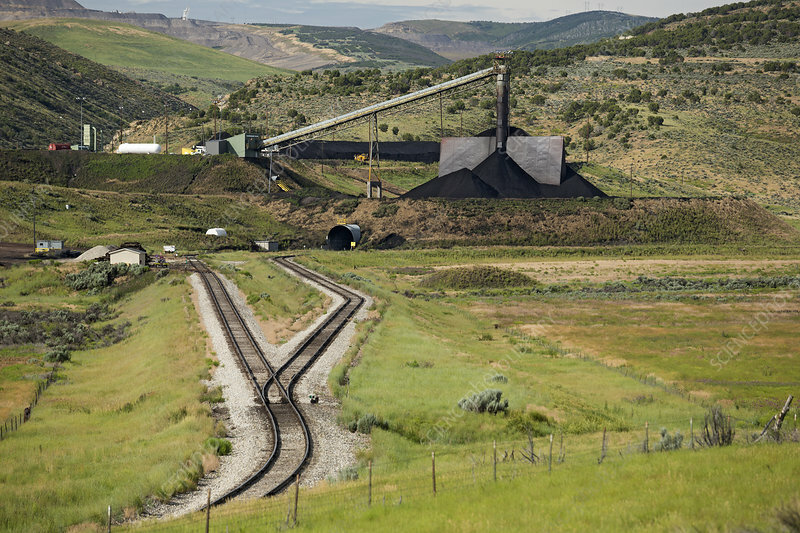 Coal mine rail-loading facility. Site used to load coal from a nearby coal mine oto transport trains. This facility serves the Colowyo Mine. Photographed in July 2015, in Meeker, Colorado, USA.